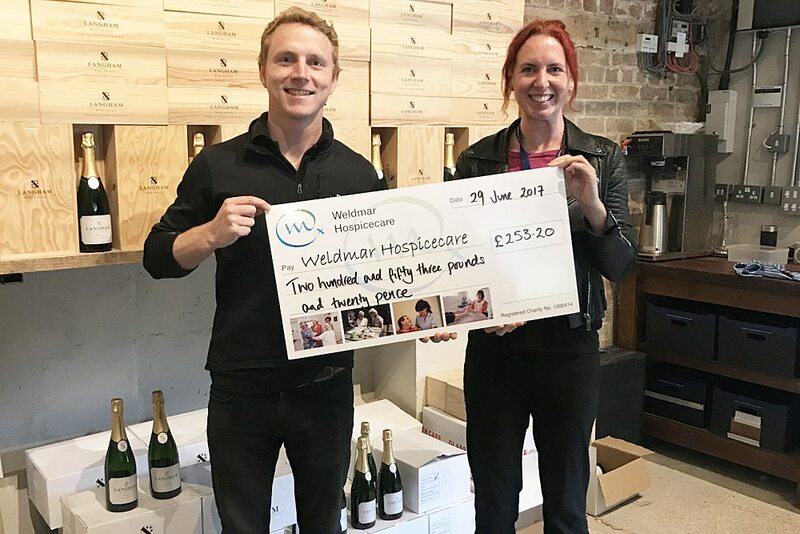 Everyone at Weldmar Hospicecare is very grateful to have the support of our local community – without whom we would not be able to offer our outstanding services across the county. Here are just a few of the people who have supported us this summer. 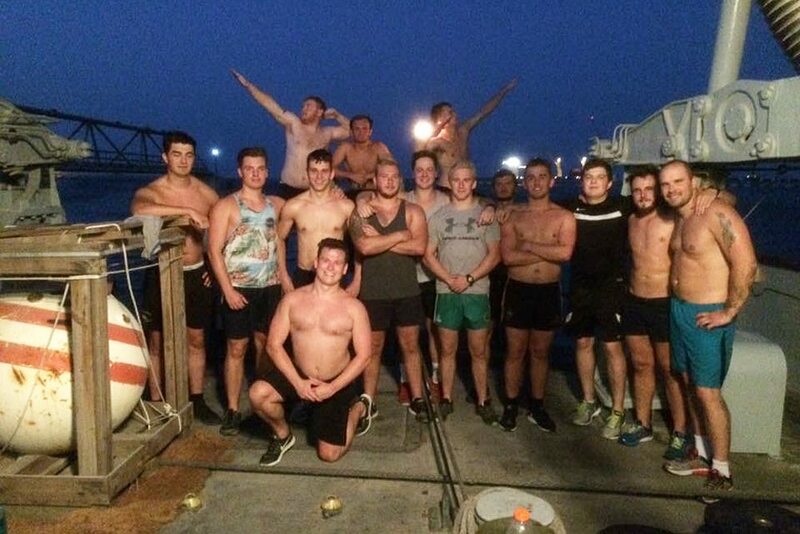 James Coombs organised a fundraising event on HMS Chiddingfold on 19th June 2017, where he and his colleagues lifted the equivalent of their ship’s weight within three hours. The ship weighs approximately 700 ton – and the event was in memory of James’ friend Julian Quick, who was a patient of Weldmar’s earlier in 2017. On Easter Saturday (15th April 2017), Langham Wine Estate held a charity Easter Egg Hunt raising money for Weldmar Hospicecare. Whilst the little ones hunted for chocolate eggs amongst their newly pruned vines, adults enjoyed sampling the range of Langham sparkling wine in their tasting room. 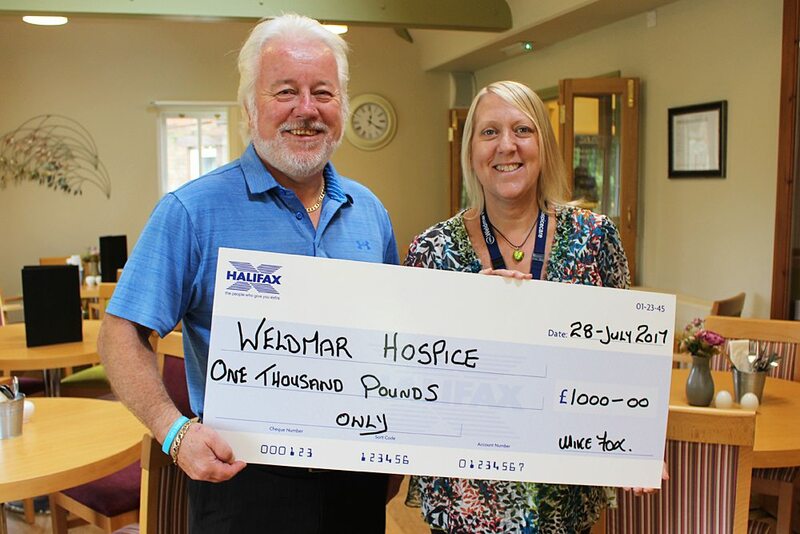 Their event raised over £250, which they presented to Weldmar at the end of June 2017. Throughout 2016, Piddlehinton United FC held their 100 Club – a monthly draw with cash prizes. 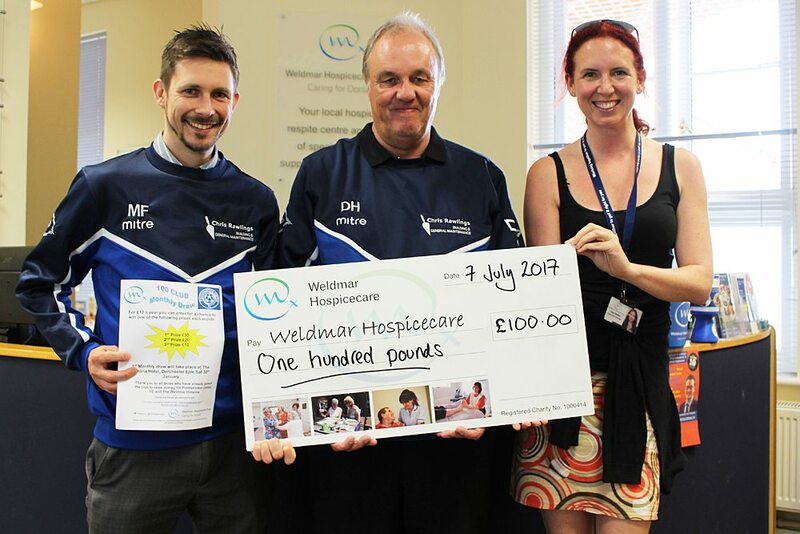 As well as raising money to support the Club, they also chose to donate £100 to Weldmar Hospicecare – as many of their players have had experience of our care for families and friends. Charlotte Banyard, Freddy Robinson and Ann Guy are all part of Divas – who sang at a concert at Winterborne Whitchurch earlier this year. 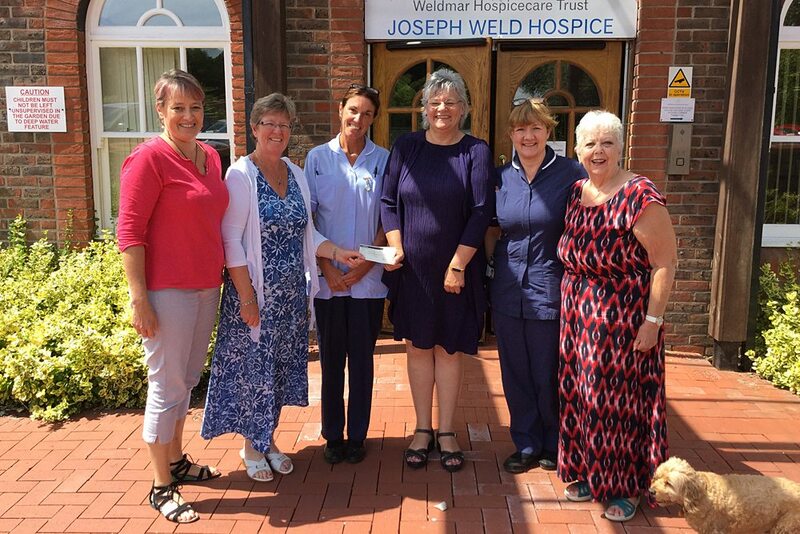 They raised an impressive £450 for Weldmar Hospicare, and came to Joseph Weld Hospice (our inpatient unit in Dorchester) to present their cheque to some of the nursing staff and our Chief Executive, Caroline Hamblett. Michael Fox retired as steward of the Portland Royal British Legion Club on 1st May 2017 – and held a retirement and charity night at the club at the end of that month. Michael raised an amazing £2,000 from ticket sales, a raffle and donations – which was then matched on the night by a local businessman. This allowed Michael to donate the funds to two charities that have supported his wife for the last few years. Fortuneswell Cancer Trust were gifted £3,000 and Weldmar Hospicecare was presented with £1,000, which Michael brought in on 28th July and presented to Diane Bentley, Weldmar’s Community Engagement Fundraiser. Thank you to everyone that supports Weldmar Hospicecare – without you, we would not be able to care for our patients and their loved ones across Dorset. If you would like to learn more about how you can get involved, please call the Fundraising team on 01305 261800 or send a message via our contact form.